It seems to me that I spend a lot of time trying to make people realise that it is my children who are special, and not me. 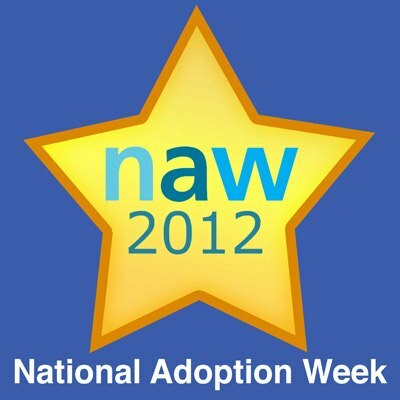 And during National Adoption Week I need more than ever to help as many people as possible realise that it is not special parents, but special children who make adoption work. Why do I say this? Well, it’s because I don’t believe there is any such thing as special parents.... just parents who try their hardest, parents who do a great job some days and find it hard other days. And as the parent to one birth child and one adopted child, I can vouch for the fact that the origins of my children don’t make any difference to the days and to the situations that I cope with, and those that I simply don’t! My husband and I were blessed with a little boy 8 years ago. He was a very much wanted birth child, but it was not a straight forward pregnancy and just hours after he was born he was diagnosed with Downs syndrome. The first couple of years of his life were not easy, dealing with all the things he found more difficult than other babies around him. We had to learn about hospital appointments, we had to learn how to give therapy and how to support his communication with sign language. None of these things were things we had ever imagined, but we dug deep and together we moved forwards. When he was 3 years old our minds turned towards extending our family and at just the right time we met a family who had 2 adopted children, both of whom had Downs syndrome. It was the first time we had ever thought about the types of children who are in care and who need forever families. We had learnt how to parent one child with Downs syndrome, how much easier it would be to do it for a second time! How perfect to find a sibling for our little boy who would truly be just like him. But would anyone let us do it because quite frankly it sounded like rather a mad idea! We rang our local authority and were met with a luke-warm reception, but from on-line forums we had already learnt to seek more than one view and so we went along to meet an adoption agency. Here we found social workers who knew all about children with disabilities looking for families. They helped us consider all the pros and cons, they supported us every step of the way towards approval and 7 months later we went to panel. And it really was that easy. I know all about the horror stories you hear about the process, I know all about the effects of the funding cuts in local authorities, but our experience of the reality of adopting a child with special needs through an adoption agency in the UK – well, it was 14 months from the first phone call to the day our princess came home to us and we have never looked back! So, what is special about our family? Is it the strength we found as a couple to get through the adoption approval process? Is it the support we get from friends and family? 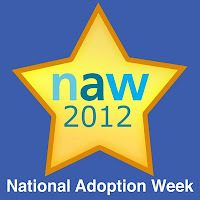 Is it the pride with which we share our adoption story and hope more people would realise that they could do it? It is all these things, but more than this; it is our 2 shining lights, our beautiful children, they are what make everything truly special and whatever we went through along the way, they are worth it! So what of them? Well our little girl has been with us for 3 years now and the two of them love each other to pieces. They have the sort of relationship I dreamt of, but never really dared to hope would come true; their faces light up when they see each other, they miss each other when apart, they hate sharing toys and enjoy winding each other up – what more could you hope from a brother and sister?! We have an outgoing, determined and confident little girl who doesn’t let anything stand in her way. She is definitely the one in charge, or at least likes to think she is! Both children now attend our local mainstream school and seeing them both ready in their school uniforms is a sight that makes me smile every single day. Don’t get me wrong, there are days when having 2 children with Downs syndrome is hard work. I can only take them both out on my own if I have a double buggy with me and then I find a lot of doorways too narrow for special needs buggies! So I make the most of local befriending services to give me an extra pair of hands as often as possible. But the glow of success and achievement are never far away from either of my kids either. It might be the little things that others might take for granted, like learning to walk or to ride a bike, but here in our family we celebrate everything! And what next? Well, adoption and Downs syndrome have changed our lives. We take as many opportunities as we can to make sure that everyone we come into contact with knows how special our children are. Could you parent a child with additional needs? There are (sadly) lots of children with a wide range of diagnoses looking for forever families. Go on..... give it a second thought, there simply are no rewards in life so special.